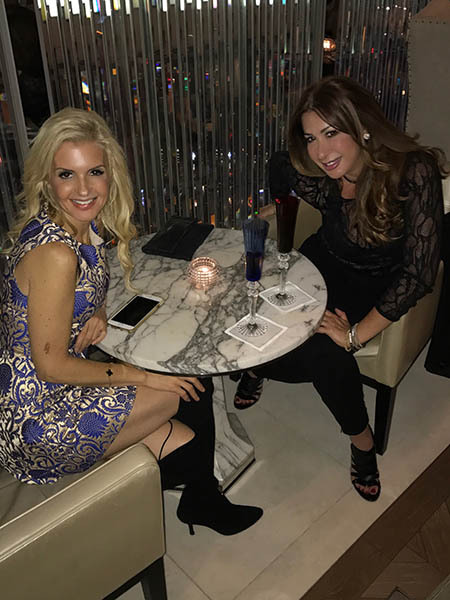 Our own Associate Publisher, Melissa Kassis is sitting at the Baccarat Hotel with the lovely Patricia Velazquez from Cervera Realty Miami. 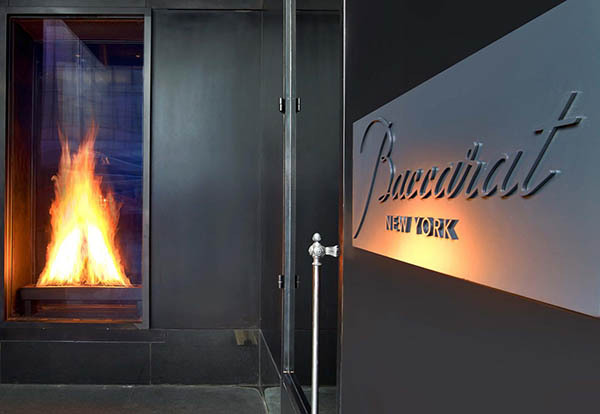 The newest beauty Missioni Baia Luxury Condo has a gorgeous sales center that is a must see with Champagne and gorgeous bay views! Miami’s Biscayne Bay is set to become home to a glamorous, appropriately glittering addition – the first residential development associated with the Italian fashion house Missoni. 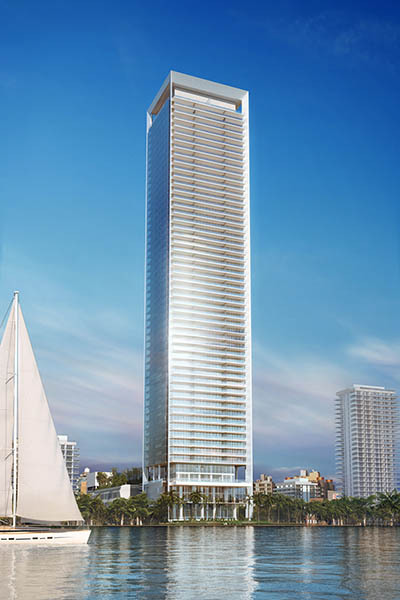 Spearheaded by Vladislav Doronin’s Miami-based development company, OKO Group, the 57-storey residential tower is set to occupy 200 ft of the bay’s waterfront. The property has been designed by Asymptote Architecture and makes full use of Missoni’s signature aesthetic and its Missoni Home collections on the inside. Residents will also enjoy the full range of Missoni bath and body amenities in the comfort of their own homes. The luxury doesn’t stop there either. Five swimming pools, a deck lined with cabanas, tennis courts, a fitness centre, concierge, valet and well-shaded terraces to accompany each unit are just some of the features that Missoni Baia has up its stylish sleeves. When people speak about Missoni, they tend to refer to “the Missonis”—since the story of the brand is inseparable from the story of the couple. Ottavio was a Dalmatian Olympic champion with a background in sportswear, and Rosita an English student whose family owned an apparel and household linen business. The two met in 1948 and married in 1953. Combining their experiences led to the birth of a company that created one of the finest examples of Italian products: a style that’s absolutely unmistakable for its mélange of colors, stitches, and blended iridescent hues—a style never seen before that soon became known worldwide. In the beginning there were only stripes, since that’s all the machines could produce at the time. But as technology advanced, the couple developed more patterns that grew increasingly original and intricate, until each design became a virtual work of art. Today, the entire family continues to be involved in the business. The Missonis’ daughter, Angela, has been the creative director of the company since 1997, when Rosita relinquished that role to her. Her brother, Luca, oversees the Missoni archives and the company’s art exhibitions. Since 1997, Rosita has been the creative director of the Missoni Home line, a successful translation of the fashion brand’s bright colors and bold patterns to residential furnishings and textiles. Home is one of Rosita’s greatest passions. Life choices and lifestyles inspire the creative philosophy of Missoni Home, which over the years has expanded beyond fabrics to also include furnishings. Rosita says that she sees her work of furnishing as “creating a habitat that’s organized but also informal, versatile, welcoming, and perhaps most of all, imbued with a sense of freedom.” Made from unusual fabrics and sometimes surprising objects, each piece is meant to complement existing settings, adding a touch of liveliness while also bringing the magic of the outdoors and nature into everyday home life. The Missoni brand is very much synonymous with the Missoni family. Angela Missoni, the founding couple’s daughter, took over from Rosita as the firm’s creative director in 1997 and now leads the legendary label. As the creative force behind the entire house of Missoni, Angela has taken the company in new directions while remaining true to its heritage. She developed a new way to approach the Missoni image and communications, establishing a new position for the brand in the world of fashion. Angela has initiated new and important collaborations with talents like Carine Roitfeld, Mario Testino, Edward Enninful, Mario Sorrenti, Mert and Marcus, and Juergen Teller, Viviane Sassen, Mark Borthwick and Harley Weir. Most recently she has worked with Oscar-winning Italian director Paolo Sorrentino and actress, model and philanthropist Elisa Sednaoui to launch the latest Missoni fragrance worldwide. Through the decades, Angela has been involved in projects that focus on reinforcing global awareness of the brand, and the growth of the family business. Amid that work emerged the study of the latest concept for the Missoni boutiques worldwide. For this, Angela worked closely with world-famous architect Patricia Urquiola. Together they created an organic environment that plays on various tones and textures, in order to give maximal visibility to the strong aesthetic of all the Missoni collections, elements of which ultimately become protagonists in a space. The influential magazine Women’s Wear Daily has praised Missoni’s designs under her creative direction: “Angela Missoni is the scion of a decades-old family dynasty, but she’s still breaking new ground.” Now Angela and OKO Group have come together to bring the singular Missoni style to life in the brand’s first-ever residential development.